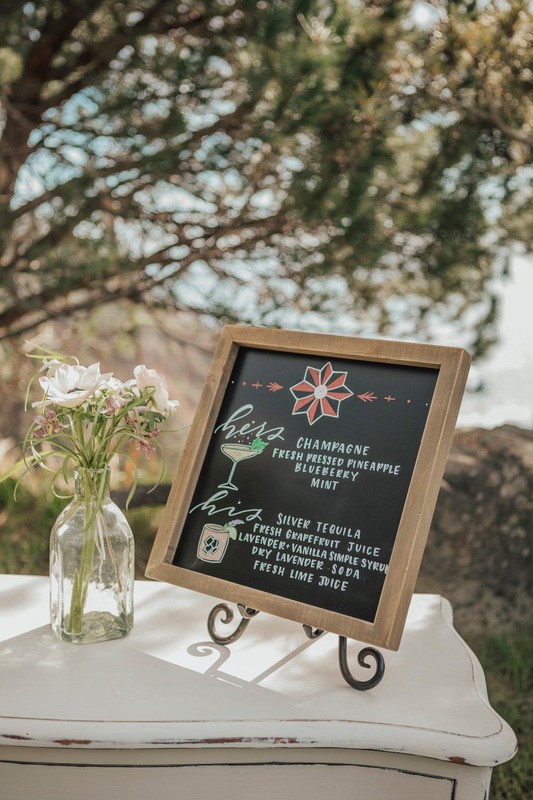 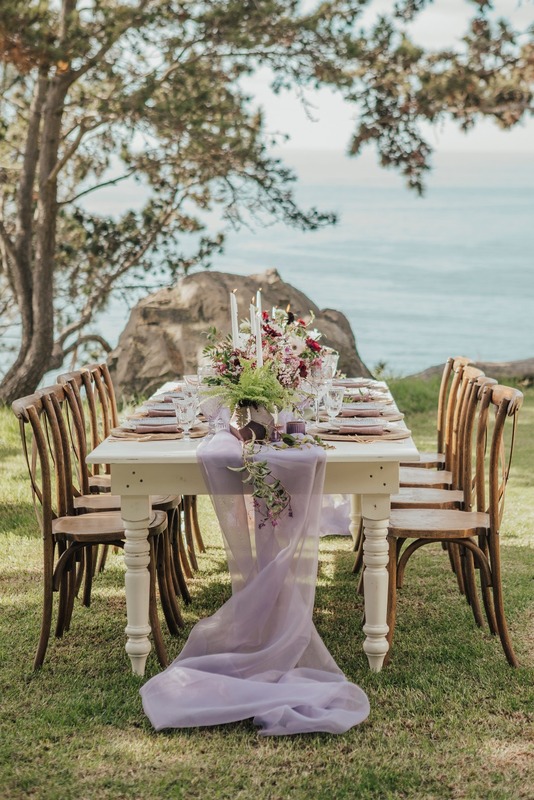 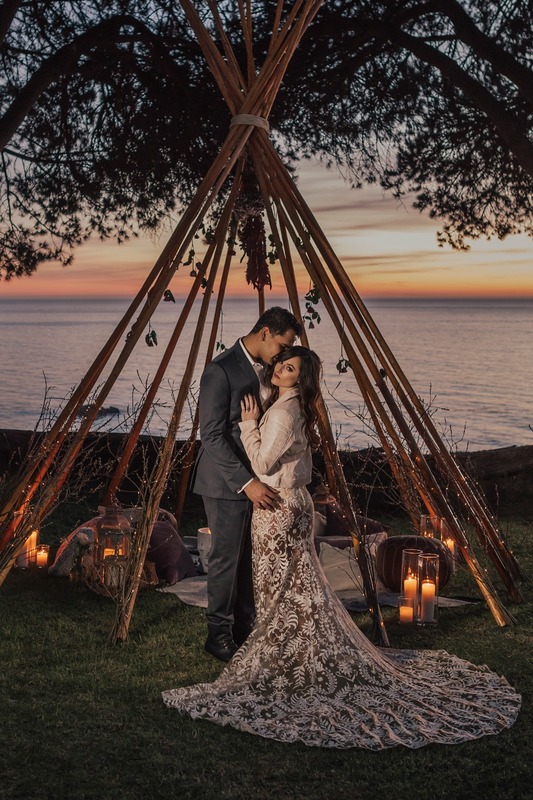 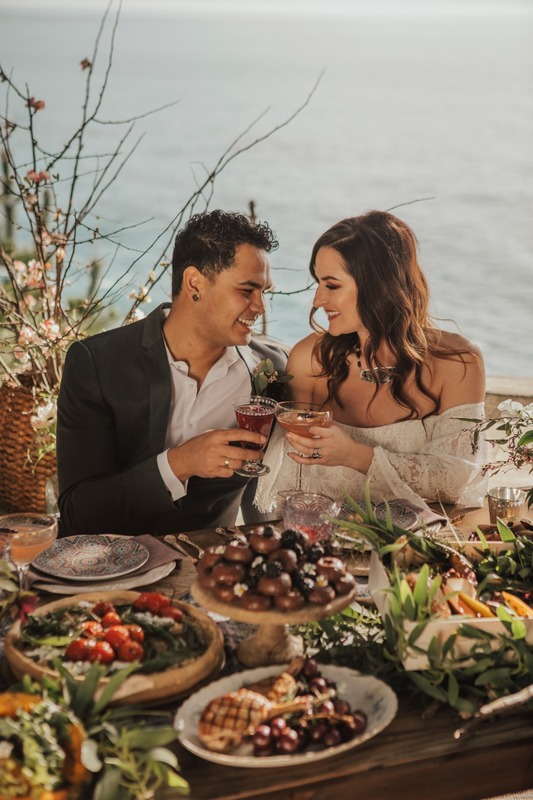 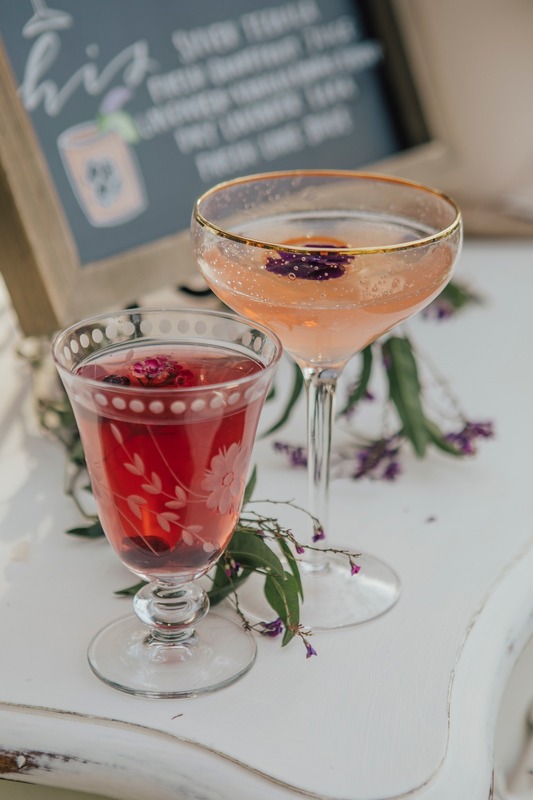 The bohemian vibe of this styled shoot from Big Sur Weddings beautifully highlights the romance and scenic drama of the Big Sur coast in California. 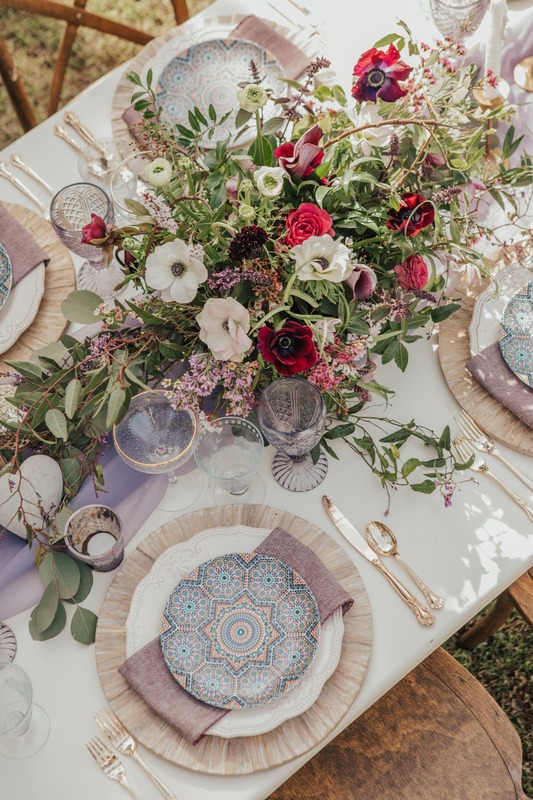 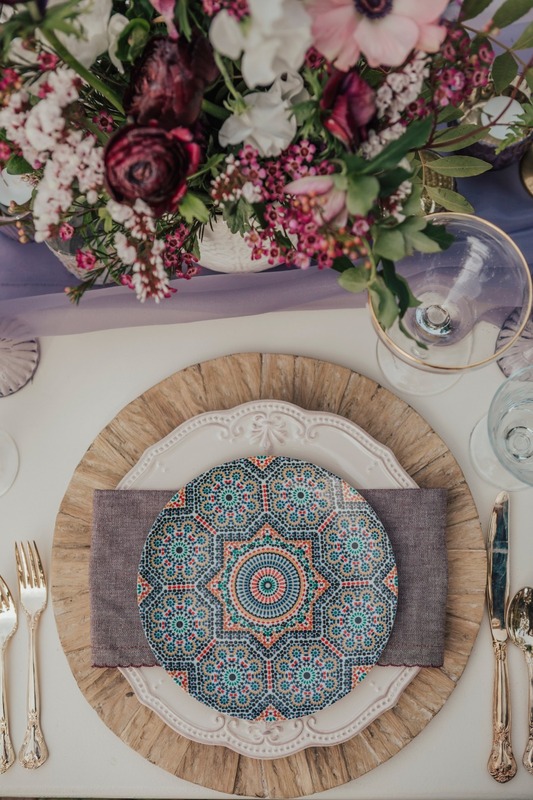 Soft jewel tones combined with natural textures and vintage furniture create a romantic atmosphere perfect for an intimate bohemian wedding. 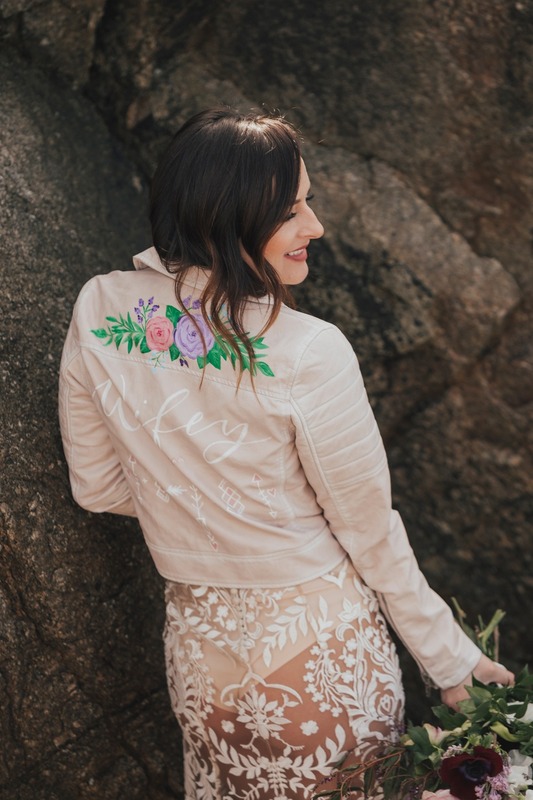 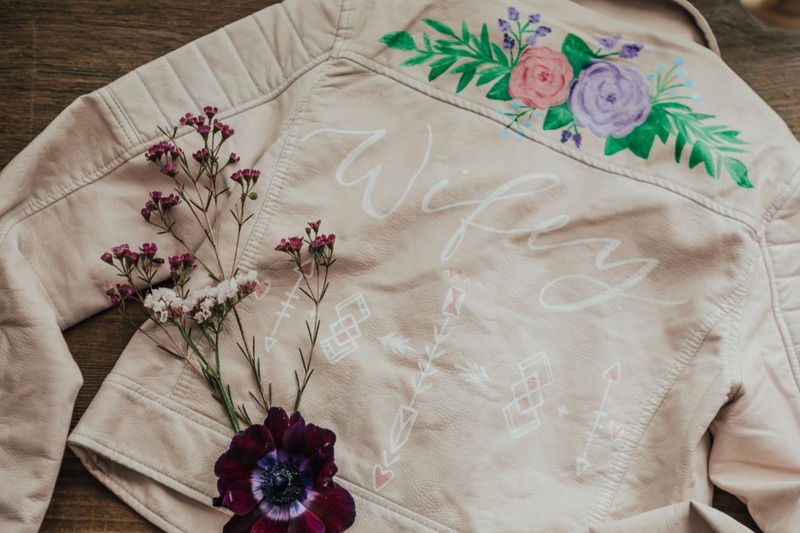 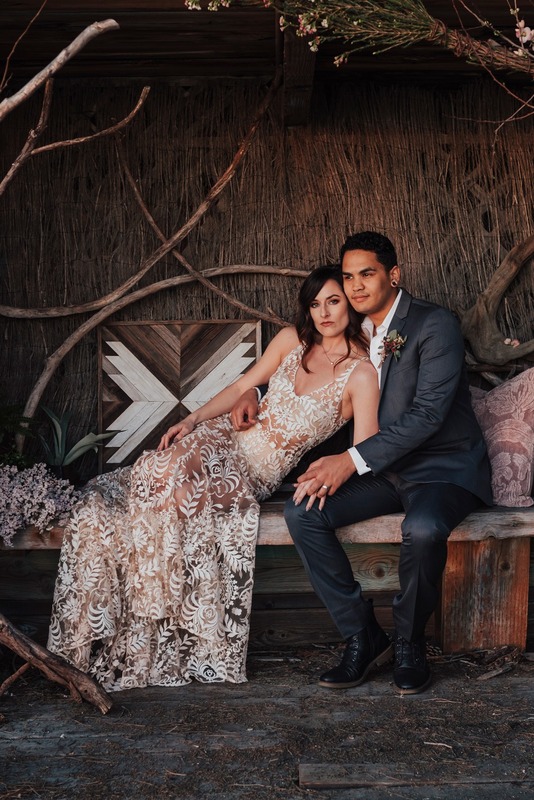 The gorgeous lace wedding gowns from Willow by Water are by far one of our favorite elements, especially when paired with the hand-painted leather jacket. 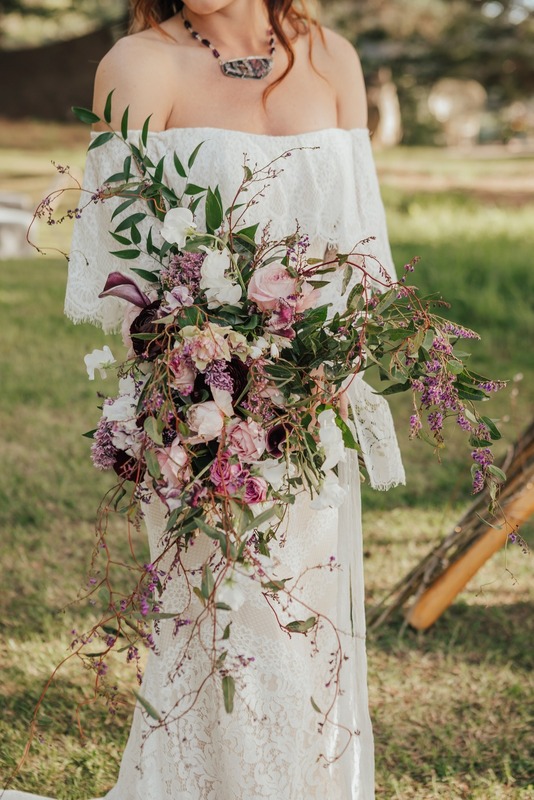 And how about her gorgeous wedding bouquet from Willow and Plum?! 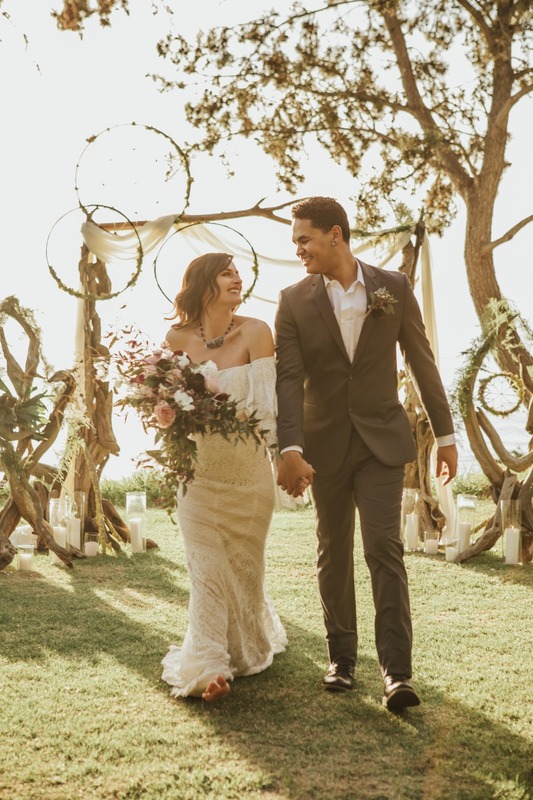 Dying! 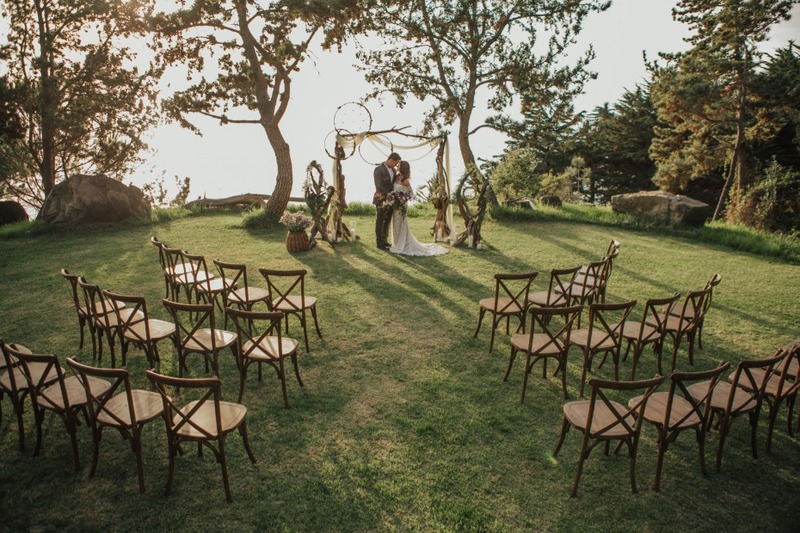 Check out the full gallery for more pin-worthy moments captured by Carol Oliva Photography. 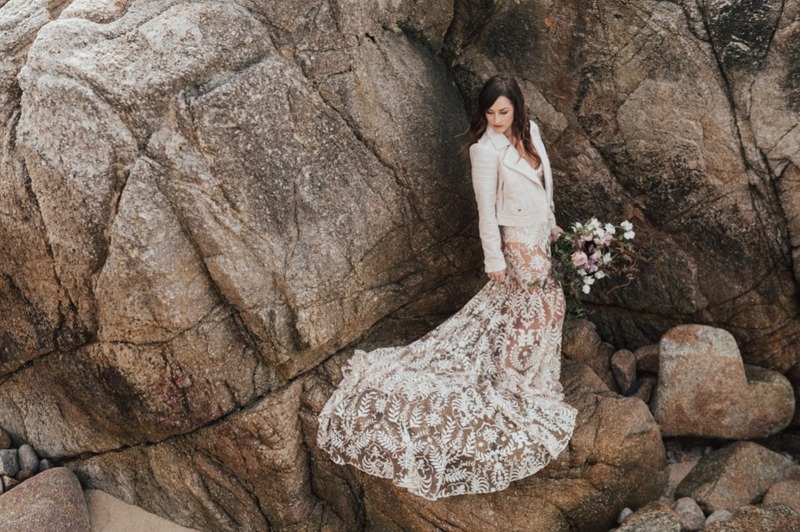 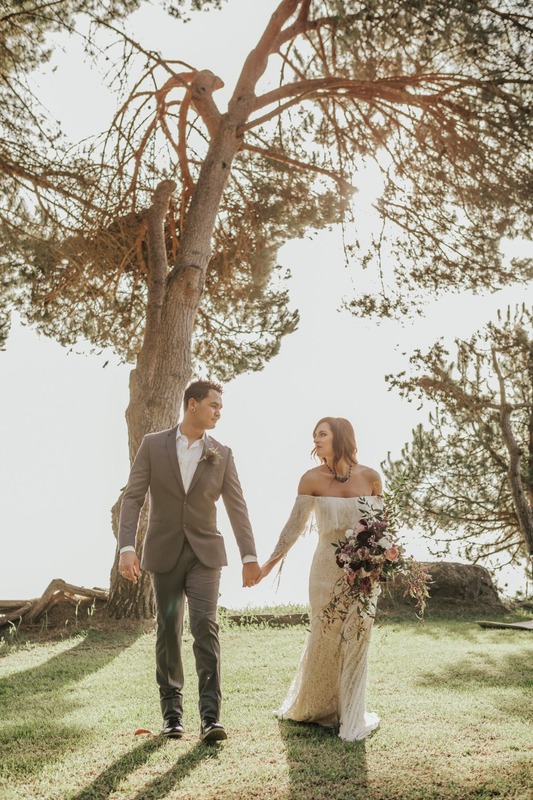 From Carol Olivia Photography: The inspiration for this styled shoot was to highlight the romance and beauty of the Big Sur Coast. 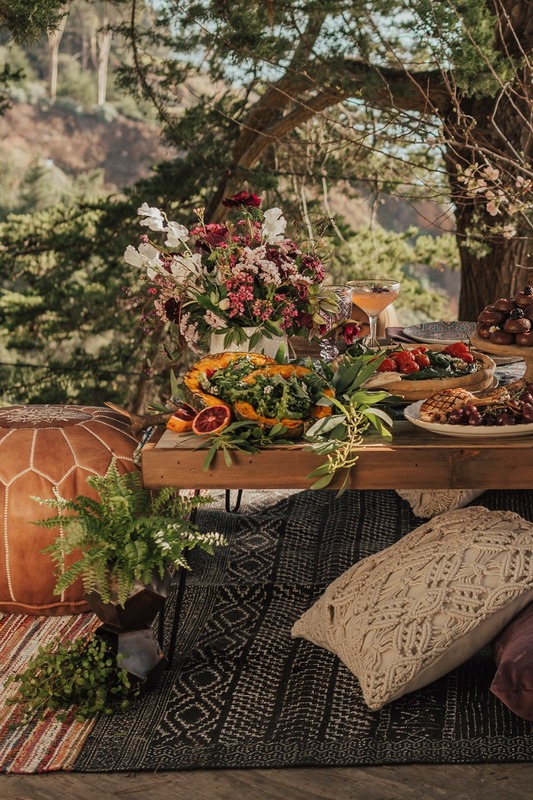 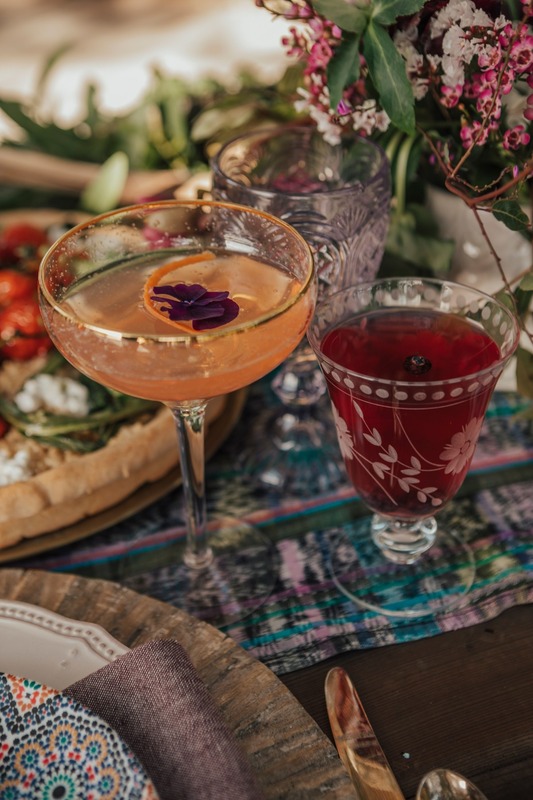 The goal was create an intimate, elegant bohemian vibe. 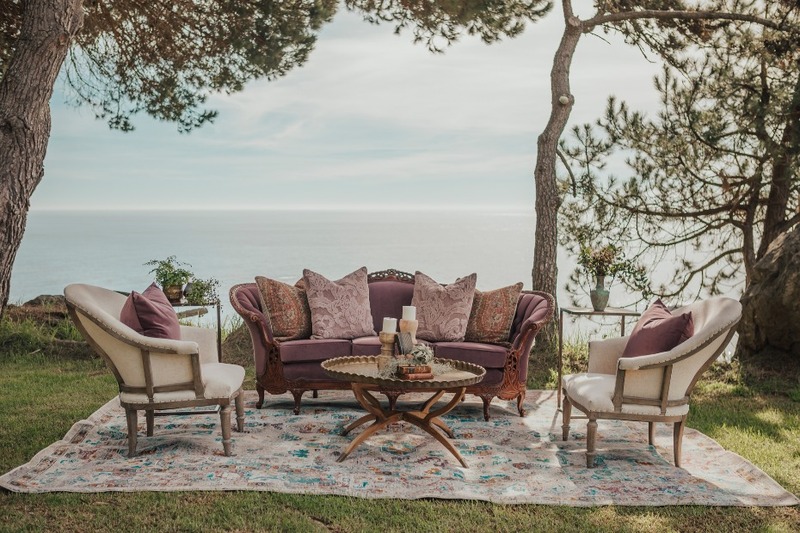 The California Coast is known for its balmy days of February. 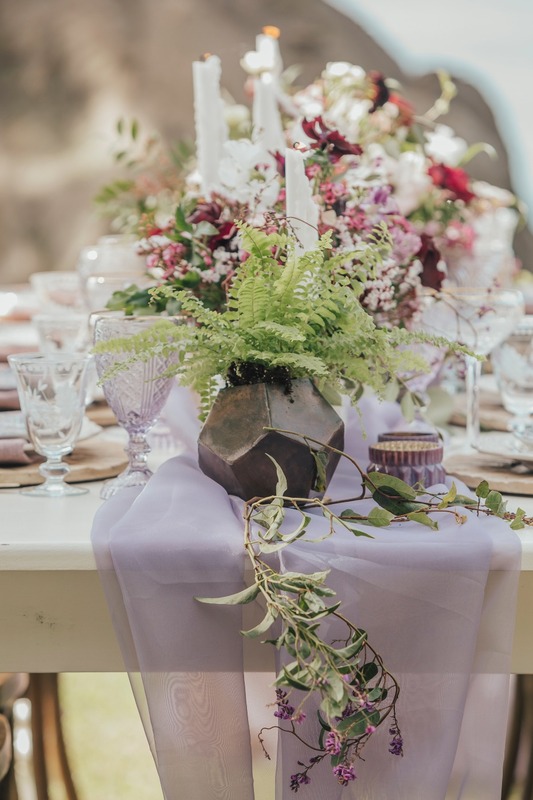 We imagine this event happening around Valentine’s Day but without the limitation of the traditional color palette. 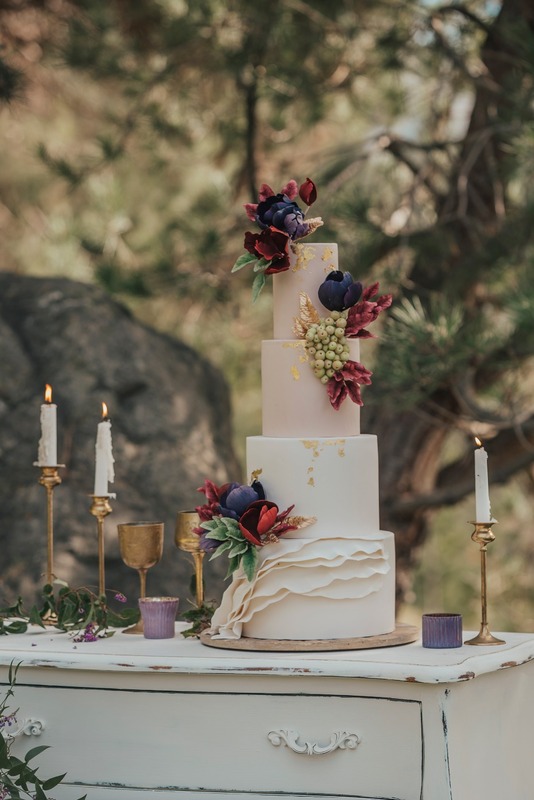 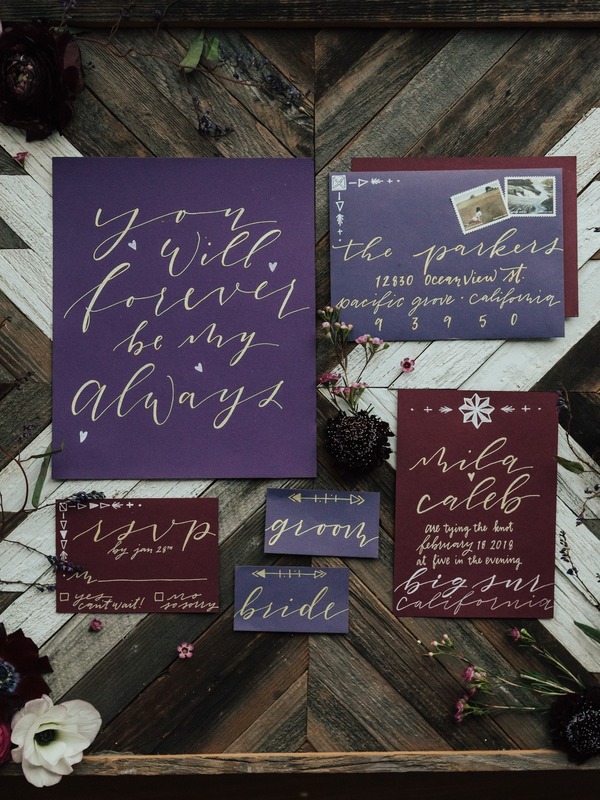 Instead the colors chosen were velvets in soft plums, lilac chiffon and natural linens for a timeless feel. 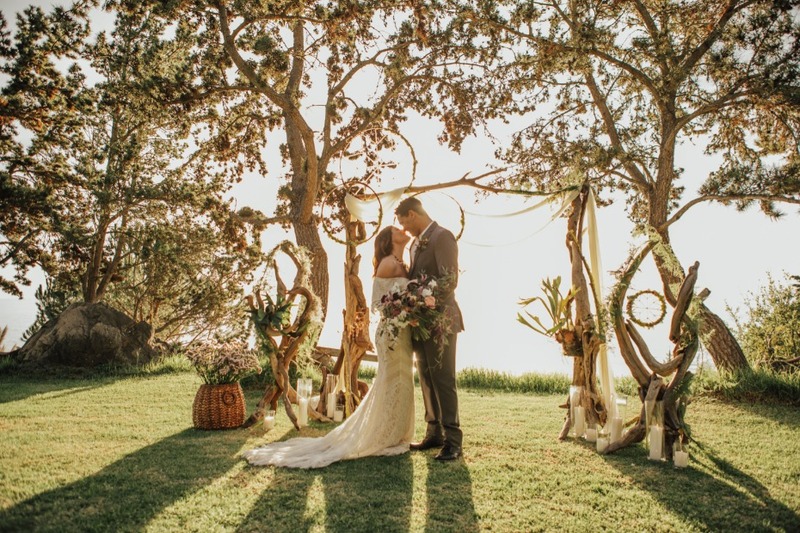 First, we have our beautiful ceremony experience with a gorgeous handmade Alter of driftwood gathered from the local shoreline. 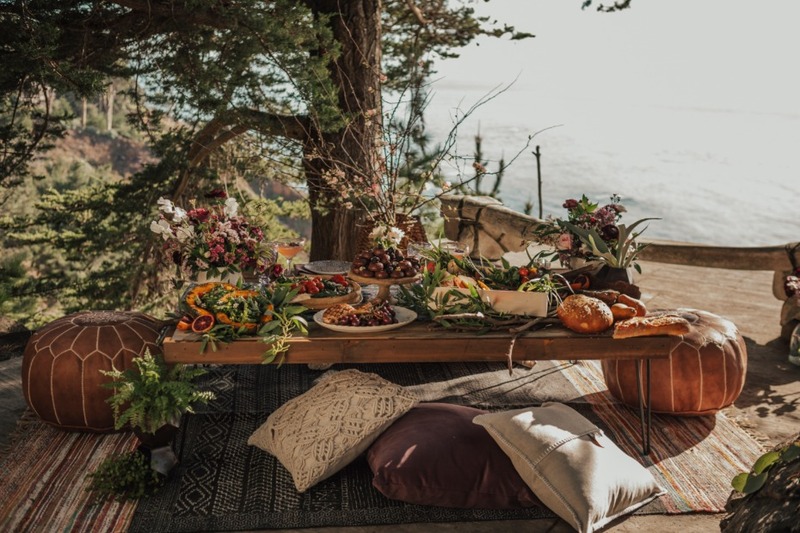 We also created a lovely picnic lounge for the Bride & Groom, complete with a cabana below covered in gorgeous vines & florals. 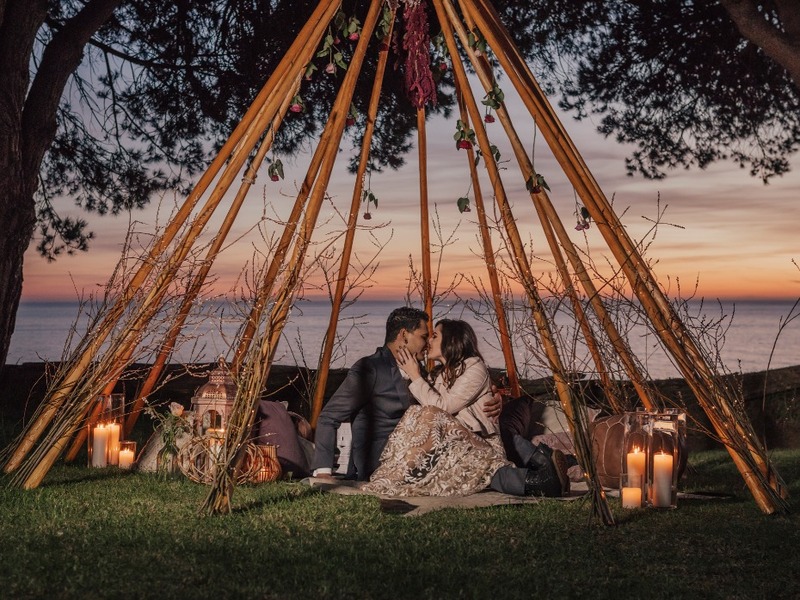 We wrap up the event with our Naked Teepee lounge covered in branches, fairy lights, and dangling flowers. 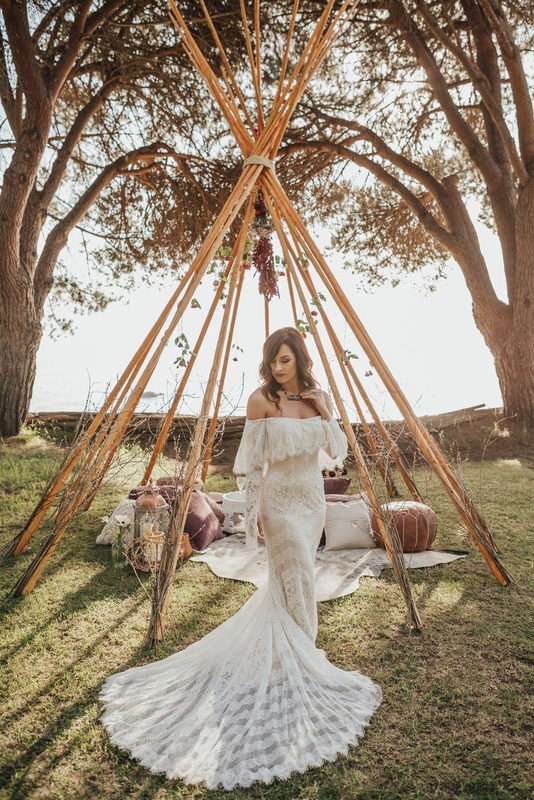 It is filled with cowhides, pillows, poufs, lanterns, and candles galore.